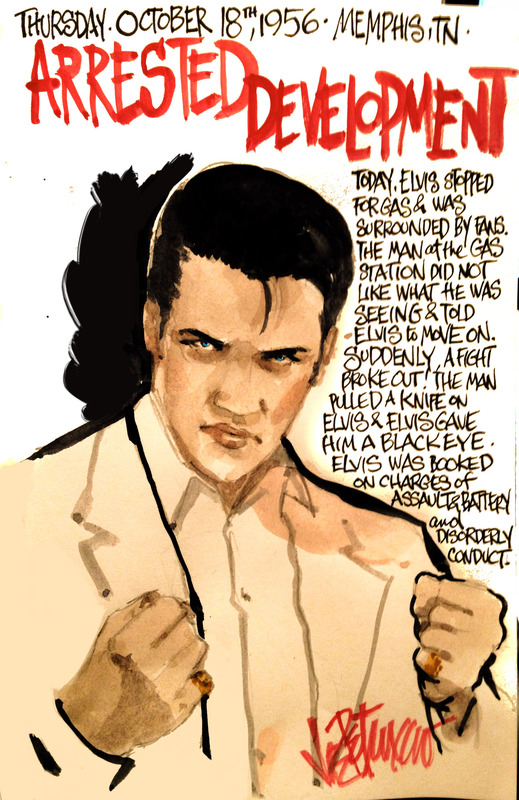 This entry was posted on Sunday, October 21st, 2012 at 6:20 pm	and tagged with Arrested Development, Elvis, Elvis Presley, My Elvis Journal, Petruccio and posted in The King of Rock n Roll. You can follow any responses to this entry through the RSS 2.0 feed. Great story! I’d read about this except the knife part. Elvis was only defending himself. None was his fault. He shouldn’t have been charged with anything. Good for Elvis!